This is a simple and extremely healthy cole slaw that is perfect for sandwiches, burgers, or on its own as a side. This version is made special by skin-beautifying and immune boosting mangoes which adds just the right sweetness to any meal. 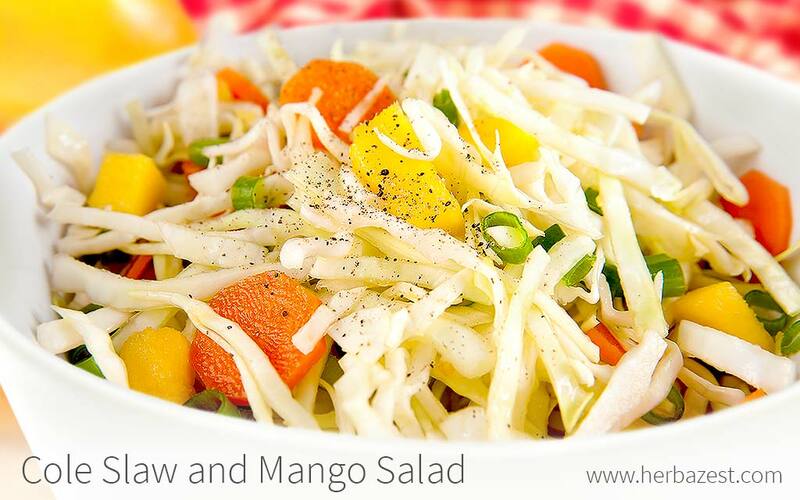 Place cabbage, mango, green onion, carrots, and pepper in a large bowl. Serve room temperature, or place in the fridge for an hour or more to serve chilled.